The William Edmonds Horner Papers were donated in 1974 by Dr. Alfred R. Shands (1974:30). The collection is arragned in three series: Journals 1821, Correspondence, and Diary of Dr. William Edmond Horner. Willaim Edmonds Horner was dean of the Medical School of Pennsylvania (1822-1852), Professor of Anatomy (1831-1853), and wrote the first pathology textbook published in the United States (Treatise on Pathological Anatomy, 1829). Born in Warrenton, Virginia on June 3, 1793, Horner was educated at Reverend Charles O’Neill’s private academy, and was later apprenticed to the Dumfries, Virginia physician John Spence in 1809. After his apprenticeship, Horner traveled to Philadelphia to attend the University of Pennsylvania Medical School. He served during the War of 1812 as a surgeon’s mate in charge of an Army Hospital near the Canadian border. Horner’s surgical experience in the Army would prove valuable later in his career. In 1816 Horner began his career at the University of Pennsylvania when he was offered the position of dissector by Caspar Wistar, eventually rising to the position of Dean of the Medical School, and professor of anatomy. He traveled to Europe in 1821, where in France he was impressed by their advances in pathology, which influenced him to write a textbook on the subject and introduce the topic to American medical schools. 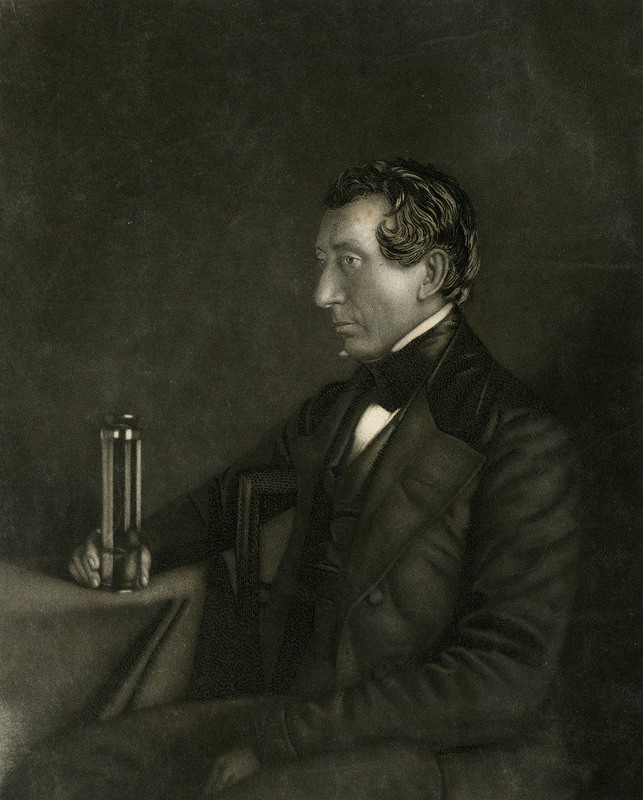 Throughout his career, Horner was very active in the Philadelphia medical community – serving on the city’s sanitary board and being in charge of the cholera hospital in 1832, and as a founder of Saint Joseph’s Hospital. Raised as an Episcopalian, Horner converted to Catholicism in 1839 following his experience with Roman Catholic priests and nuns during the cholera epidemic. Horner died in Philadelphia on March 13, 1853. The Journals detail William Edmonds Horner’s travels from the United States to Europe in 1821. Consisting of nine notebooks written in long hand, Horner describes in detail his voyage across the Atlantic, as well as his sightseeing in England, Holland, Parris, Scotland, and Ireland. Horner visited many of the usual sites of interest; he also visited many of the hospitals, physicians, and instrument makers – making notes on medical practices, anatomical collections, and other observations. He was particularly taken by the Hunterian Collection in London, and describes the method for making wax anatomical preparations which he learned from the curator. Horner also visited the London Docks (where he notes seeing six pirates hanging in chains), Waterloo, and the Libraire du Roi. His travels also included meeting and dining with many prominent Americans and Europeans. The Correspondence series contains typed transcripts of letters by Horner to his family in Virginia, as well as a letter to Horner from Pope Gregory XVI. There are also letters between Dr. Shands and the University of Pennsylvania Press regarding his efforst to publish Horner’s Journals. The Diary of William Edmonds Horner is a typed transcripted of Horner’s journals prepared by his great-grandson, Dr. Alfred R. Shands, and organized in two volumes.